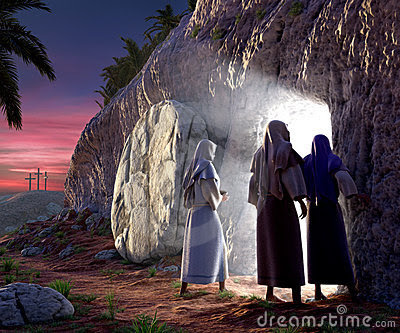 Wanted to come in and wish all my readers, a very happy Easter. May it blessed, may it be shared with those you love, and may it be a reminder of the love the Lord has for us. I honestly didn't know what to expect when I first started reading the book. What I DID know was the the synopsis intrigued me, especially since it's about a subject that my husband and I often talk about. What if???? I often say that we're so dependent on the internet and wifi and more and more, people don't know how to survive without it. Usually I steer clear of this type of book genre, mainly because I find the books quite boring and can't quite seem to stay interested. This one, was completely different for me. I opened the book on my Kindle and read the first two pages and was hooked, I couldn't put it down. It's written so well, and in such a way that it just flows from page to page, it seems natural, as if I'm standing right there with the characters and can actually see them saying and doing the things they're doing. It also frightened me because it touches on a subject that is so real and could easily happen. The story takes place in New York and the main character Mike Mitchell, is struggling to keep his family together. And then the internet starts going nuts and reports start coming in that websites are being hacked and defaced and that a code intended to knock out the power grid has been embedded in the power plants and everything seems to be pointing to China...but in the midst of this all people start dying from a supposed bird flu.....and if that wasn't enough, a crazy storm hits New York, and the city finds itself cut off. Everything is falling apart, his whole world is unraveling before his eyes, and soon he finds himself, along with his wife and son, and their neighbors, fighting to survive in a world that is essentially shutting down. Who do you trust, where do you go, what do you do to keep those you love safe? We are faced with desperation, with what people will do to stay alive, to find water, to find heat, to find food. The lengths they will go through for a small amount of food. It's scary, and there's moments that I almost felt like I wanted to reach through the book and help them, like I was watching from a distance and completely helpless. That is how good Matthew Maher is in telling this story. He builds the suspense, he makes you care, he takes you right to the middle of the story and you can't help but go along, enthralled and caring and rooting for these people to make it. I am definitely recommending this book to my friends, and as a matter of fact, my husband has just started reading it too and is already enjoying it. If you love a good science fiction, thriller kind of book, you HAVE to read this one. Grab this book right now at Amazon. You can also grab a paperback version, as well as e-book versions for all other platforms. 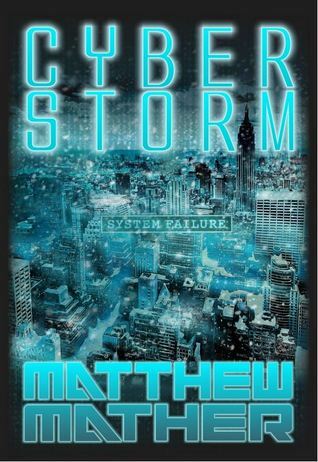 Cyberstorm has been steadily rising to #3 in its techno-thriller sub-category on Amazon. Last week there was a (alleged) cyberattack by North Korean military on civilian infrastructure in South Korea, which issignificant since it is only the second cyberattack by a military on civilian targets, and both of these attacks have happened in the past six months and are accelerating. Matthew Maher wrote an interesting article on the merger of outer space and cyberspace for the (serious, NASA-targeted and non-fiction) magazine Space Quarterly. Thank you Matthew Maher for sending me a copy to review. Oh what a day...I'm spent! The week leading up to Easter, my emotions are just all over the place. It feels like when you're going through a really hard time in your life, and trying to put on a brave face and smile, but that knot is always in your stomach and the lump always in your throat??? Started this morning bright and early, outside on the patio. Don't you just love mornings? The sun is shining and the world is stirring. Best time to sit quietly and just watch it all go by. I had my cup of coffee, my new ripply blanket and my Bible. I started in Matthew 24 and have been reading on from there.....it's some of the hardest parts of the Bible for me, but I find it so important to be reminded of what Jesus was going through. I worked on my crochet, sipped my coffee, read my Bible and kept an ear out for the kids. When they were up, I moved inside to start my day. First on the agenda, Hot Cross Buns. The recipe I used this year was one I saw on The Great British Bake Off Easter Masterclass. I think Mr Paul Hollywood is just brilliant when it comes to breads and dough and when I saw him preparing the Hot Cross Buns, I knew that was the recipe I wanted to try. WOW were they delicious. Funny thing though, he adds in chopped apple which is something I've never done before, but he's right, they really do make the bun. If you want to give them a try, the recipe is posted on my food blog. While the buns rose on the kitchen table, I set to work dyeing some eggs. I knew what I wanted to do and I had seen these around the internet. I will tell you that they were so easy to make, and I love the pastel colors I got out of the dye. I started by boiling the eggs, then I let them cool down. Made sure the shells were dry, and stuck on the letters for Jesus. You can use letter stickers if you have them, but I didn't, so I used a blank white sticker and traced and cut out the letters. Once the letters are on there the way you want them, go ahead and dye them whichever color you want. I always use vinegar for mine. Just 2 tablespoons of vinegar, 2/3 cups of hot water and then food coloring, however many drops you want to get the color you like. Let them dry completely and then pull off the stickers. What I like about this is that you can literally do whatever you want on the eggs. We'll be making more on Sunday and I plan on putting a cross on one, maybe different words...it will be fun to see what we all come up with. I have spent all day sneaking glances at this cross and the two nails. It keeps me in check, it keeps me in the moment, and it makes me forget all distractions that are not related to my Lord. After I was done with these, and after some puttering around with the sprinkler in the garden, and watering the vegetable patch, it was time to enjoy our Hot Cross Buns. My Jasmine loved them, but Nicholas???? Nope. He caught a whiff of apple and that was that, it was set aside. Picky little boy I have here. Nevermind that, because Jas, Dad and Mom will enjoy them for him. I won't pass up a good Hot Cross Bun, and I'm already thinking of breakfast, because nothing beats one toasted and slathered with butter. Yummy! So, how has your Good Friday been? Any exciting plans for this weekend? 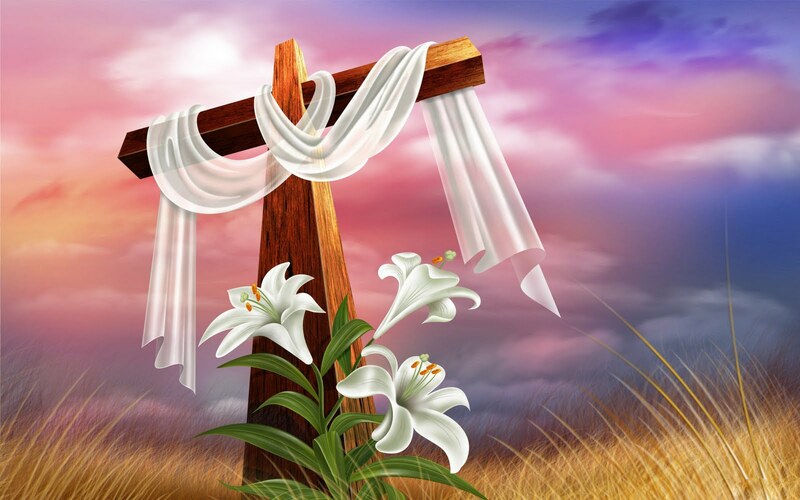 Sending you much love and blessings on this Good Friday, and wishing you a very restful night. Those moments, when you find yourself in complete contentment. When you realize that there's no place on earth you would rather be, than right there, in that moment, in that spot, in that time. You stumble about through your daily routines and work and school and schedules, never really quite finding your footing, never really smiling, always stressed, always distracted, always dodging the bullet *so to speak*. With camera in hand, I stepped outside, and right on my heels was my boy. My shadow. Chatting and telling me about his latest invention, his latest game, his latest achievement and how he wants to fly one day. I smile, because there's nothing more beautiful than a child's mind, especially knowing that they have the tools to achieve those goals, even if at the time they seem way beyond their reach. He'll get there, he'll do it, and one day I'll be sitting here again telling you all about his latest adventure. This is our neighbor's dog. He is just the most beautiful thing ever, and sweet, and kind and loving and he wants nothing more than just some attention. My neighbor is a single airman, works long hours, and this poor dog spends a lot of time outside in the backyard, so when one of us is out there, he begs for attention. He has a special bond with Nicholas. He climbs up on the chain link fence and waits for Nic to grab him in his arms, to hug him, to pet him, and then they run up and down the fence together, laughing. And when it's not Nic, it's Lola running up and down with him. He casually puts his paw on the fence and waits, waits a little more, and when he has her attention, they play. We sat outside for quite a while, just taking it all in. Enjoying the beautiful temperatures, the green grass, the birds and then before I knew it, one of the kids favorite things to do in the summer, was beginning to unfold before my eyes. I watch him in awe, and contentment. I think to myself "THIS is what it's all about, right here, right now". Something as simple as the water on a sprinkler can bring so much joy. As I continued to walk around the yard, his laugh and squeals reverberated around me. It made ME want to laugh out loud. I miss that, I miss those moments when we were children and had not a care in the world, when the moment that you were in was IT, it was the most important, nothing before it and nothing ahead....just that. I want to so badly to continue to see the world through a child's eyes. There's nothing more beautiful than that, I believe. As I was informed...through a child's eyes, a tree is not merely a tree. "Mom that's where the birds live, and see those holes, that's where squirrels make their homes and I bet there's hundreds of little bugs climbing up those leaves." Why can't I always see things like that? I'm learning to shift the way I have grown accustomed to the world around me, so that I can adopt a childlike point of view. I think I'll be much happier. children are making new memories and living life to the fullest. The cycle of life is moving, always, continually. Usually just going from day to day, hour to hour, from one chore to another. No more. I am "getting over myself". I'm going to stop denying myself of what I really should be doing, and how I should be living. Speaking of which, I have a video that I want you to watch. It is 22 minutes long, but it will change you, it will move you, it will leave you teary eyed and wondering why you've been denying YOURSELF from the life which God has wanted you to live. Watch it, enjoy it, take everything you can from it. Can you believe that it's Thursday, again? Sure hope your week has been going well so far. Right on to our recipe for today, here's a very simple way to prepare cube steaks, it's filling, it's comforting and who doesn't like Stuffing???? I have always been a Christian who feels things deeply, who still cries for the injustices Jesus suffered, who can't listen to a Christian song without a lump in her throat and a tear in the corner of her eye. Some moments are harder than others. Sometimes I can sing a whole song with a big smile on my face, but more often than not, I can't. I croak, I choke, I swat at the tears flowing down my face. I used to be embarrassed of feeling this way, I thought "what a wuss, you're so weak, why are you feeling that way, you should be happy when you think of God." And more often than not those are tears of joy, of pure unconditional love directed to the One and Only. The I Am. The Almighty Lord who has blessed me continuously, who has seem me through some of my darkest moments and who has never left my side, even when I tried to run in the opposite direction. I've had my share of ups and downs, I've stumbled, I've fallen, I've questioned, I've yelled out in frustration and asked why me? And the answer has always been "why NOT you?" The week leading up to Easter is extremely hard for me, I literally cry at the drop of a hat. Anything related to the Resurrection, to the suffering our Lord endured and to the real meaning of Easter, just breaks me. This morning, as I was doing my blog reading, my friend Linds posted a link and asked us to read it, she said it was breathtaking. I value her opinion immensely and I knew that if she was posting this, it had to be something worth reading. My word, I wasn't prepared for it. Broken Hallelujah by Jen Hatmaker. I bawled through this post, and found myself without words. It was as if she was taking the words right out of my mouth and then also hitting me with profound statements that I hadn't thought of. One thing we have taught our children from a very young age, is that Easter is not about egg hunts, chocolate bunnies and big fluffy bunnies running around. They know the real meaning, they know what it is about. Does it mean that we don't incorporate the fun parts for them? Absolutely not. But I think there's a difference in letting them have fun and believe that is what Easter is about, and allowing them to still have that fun but know deep in their hearts what the real reason is for that day. 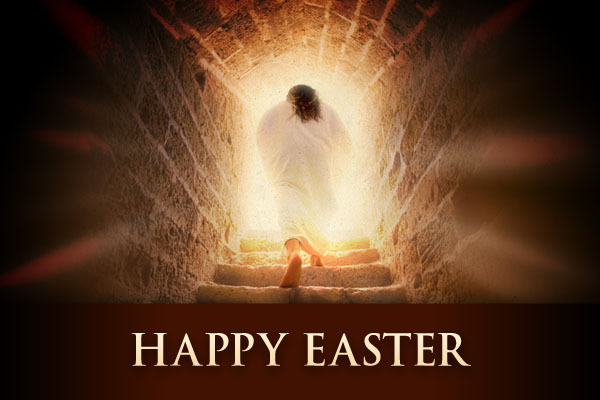 There will still be Ham and Hot Cross Buns on Easter Sunday, but there will also be "Jesus of Nazareth" on TV, and prayers and the reading of the Bible. I only hope I can get through it all without crying my eyes out. He will see me through it, just like He has through every other instance in my life. The early morning moments I spend in the garden, are some of the best moment of my day. The sun freshly risen, bathing the earth with early light, the birds chirping happily as if to welcome the day, and the scent of the grass. It's pure joy, honestly. I get up very early with my husband, to prepare coffee and his lunch to take to work. Truthfully, I could go back to bed and sleep in for another couple of hours, but once I'm up, that's it, I'm up for the day. I enjoy my cup of coffee, I eat my breakfast, I read my Bible and spend time in prayer, and then I get ready for the day, and usually by the time the kids get up around 9am, I am well into my homemaking chores. This morning, I tackled the back yard patio. Hosed down the table and chairs, opened the umbrella and then hosed down and gave the grill a good cleaning. As I was working, I was praying and talking to God and myself. Just thinking out loud, really. I find that in these moments I am relaxed and any problems that I may be having, seem to start sorting themselves out, I get ideas, I see things a different way, and it puts it all into perspective. At one point, the wind was blowing a gentle breeze, and everytime it did, I smelled the most delicious scent. I knew I had smelled it before but couldn't quite place it. I looked around a while, kept working and then finally I found where it was coming from. Oh what joy to see these beautiful blossoms all over. They smell amazing, if you've never smelled the lemon blossoms you don't know what you're missing. Just lovely. I gave the tree a good watering, and snapped a few shots to show you. I noticed as I looked into the living room, that my Spanish Lavender is starting to wilt a bit, so I decided it was time to prune it and start drying a few. There's another lovely scent right there. Once the kids were up and I got them their breakfast, I sat and chatted with them for a little. Of course my hands can never be quite still, so I worked on my new ripply blanket. It's going to be something along the lines of my most recent granny stripe blanket, where I alternated color stripes between white stripes. It works up so fast and it's great for when you're watching TV or reading a book, you don't have to worry about counting stitches or intricate patterns. Amber asked me what yarn I used for my previous ripply blanket, it's actually the same yarn I'm using for this one which is worsted weight. I know a lot of people don't like it because they say it's too scratchy and stiff, but I like it because it's inexpensive and as for the stiff and scratchy part, I always wash my blankets when I am finished with them, and they get nice and soft. Had a simple lunch with the kids, and then Jasmine and I sat down to watch The Great British Bake Off Easter Masterclass. We are huge fans of all The Great British Bake Off's, and this one was so much fun. Mary Berry and Paul Hollywood are fantastic, truly two of my favorite TV people out there. While watching their show, I was pleased to see Paul bake up a batch of his Hot Cross Buns. They were on my menu for Sunday but I have decided to give his recipe a try, he actually uses apple in his buns and I thought that sounded quite different. Then I realized, I am out of Mixed Peel and I find it quite expensive at the store, so about two years ago I started making my own. I will share the recipe on the food blog later, if anyone is interested in trying. I do have to tell you, if you do, you'll never buy store bought again, there is NOTHING and I mean NOTHING like homemade mixed peel, or candied peel as I think it's known here in the USA. Finished off the day with a delicious dinner, with no meat in sight, which believe me, is a huge thing because my family loves beef. But it wasn't missed at all in these burritos. And now??? Time for face off, and some crochet. Finished Mandala using this pattern by Petra. Still needs to be blocked, and the last two rows came out a little more wonky than I would have liked, but I still find it adorable. Comfort food. Stuffed Cubed Steaks, stuffing, what more could you ask for? Good start to the week, some homemaking, some gardening, some crocheting, some loving from my littles and hugs from my husband. We had an early dinner as hubby had to be at his classes by 4:45pm and the rest of the evening the kids and I have just been relaxing. I'm about to start my new ripple blanket, I'll be using Lucy's pattern again which is the one I always use for my ripples. Can't wait to get started, I think crochet wise, the ripple pattern is one of my favorites for blankets, it works up so quickly and it's very relaxing. 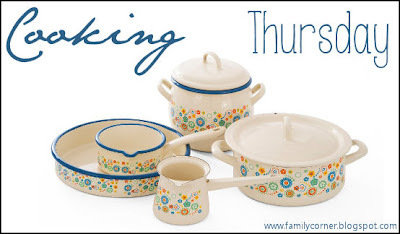 Right, now, I wanted to invite you all to my online Pampered Chef Party. If you love kitchen gadgets and are looking for some new items for your kitchen, now is your chance. I love that you can host parties online now, I guess it's one of the perks of technology right? So, if you feel so inclined and want to join in, just go visit my party here. My wonderful friend and consultant Amy Eason will answer any questions you may have. My fingers are itching to get started, so I'm off. I will be visiting all my Happy Homemaker Monday participants tomorrow morning, and I'm sorry if there was some confusion with the categories. I need to actually go through and gather all the different categories floating around and whip up a final list for you all. Does that sound good? In the meantime, if there is a specific category you don't like and would like removed let me know, and also if you have one you think would fit perfectly with our Monday's, let me know as well. This being an adult, is not fun at times.